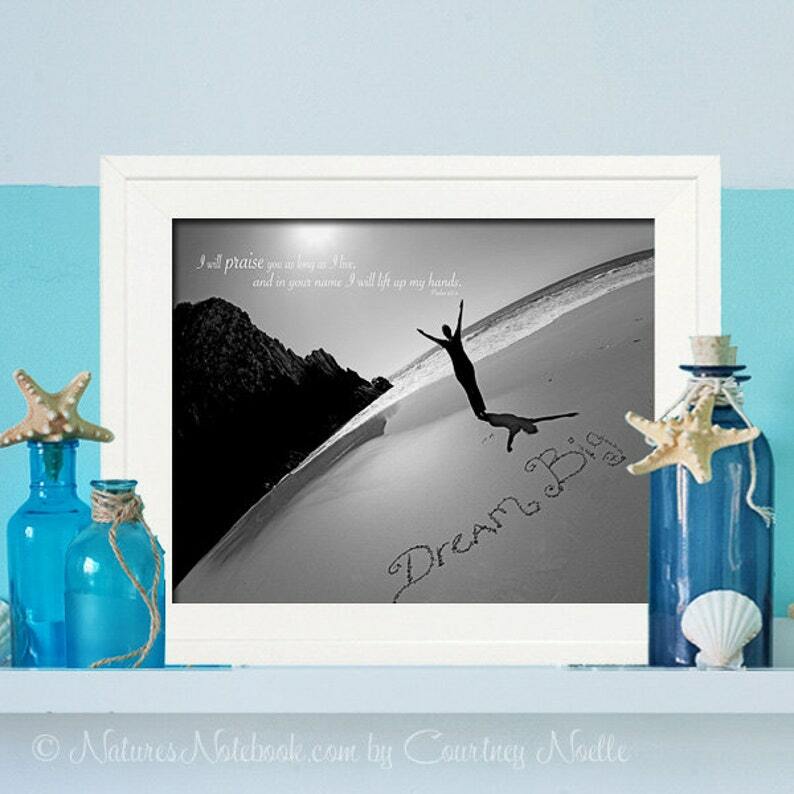 Dream Big with silhouette praising God will add a beautiful touch to any room of a home. It is paired with Psalm 63:4 scripture, but if you would like a different scripture, just let me know I am happy to change it for you. This beautiful beach sign is perfect for any beach lover for many occasions. This sign would look fab in any room of the home. Dream Big and Rejoice in the plans HE has for you!